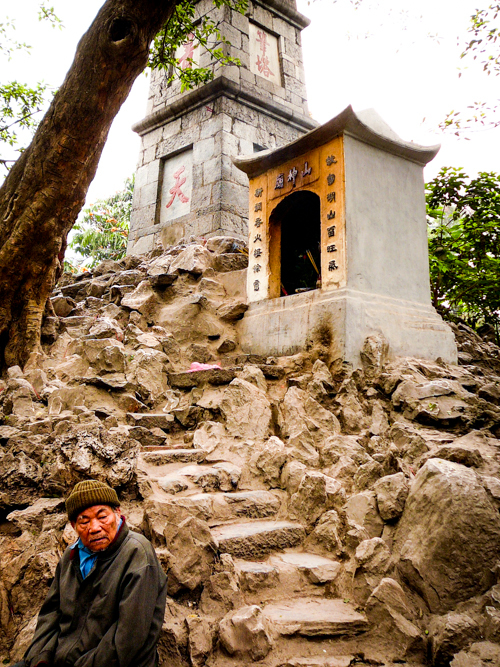 This small shrine sits just beside the much more picturesque Ngoc Son temple on Hoan Kem Lake in Hanoi. While the temple justifiably receives much attention from visitors, tourists, and strangely, brides having their photos taken in elaborate get-ups, this shrine received a fair amount of attention from locals who burned money at the base presumably looking for good fortune and wealth. Oooh I love the framing in this shot! What a great photo Gillian. Although I went o many temples in Hanoi I really have no clue which ones. A wonderful shot! And that was quite interesting about burning of money! !